Brood #2 has made its debut! Categories: Bird Watching | Tags: bird watching, bluebirds, hatchlings | Permalink. I think she’s incubating because she’s constantly in the box at this point. It’s hot as Hades over here, so I don’t know how she can handle sitting in that box all day, but then again, I’m not a bird. I’ll check again in the next few days for hatchlings! Categories: Bird Watching | Tags: bird watching, bluebirds, eggs, nest | Permalink. 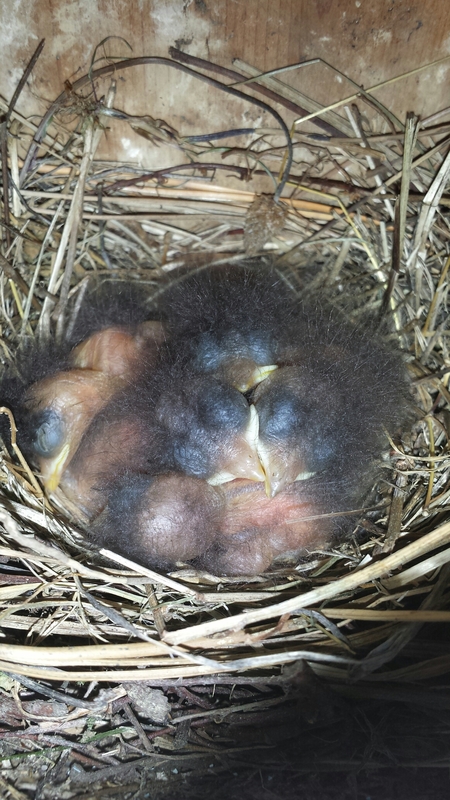 After a heartbreaking setback last year (snakes are horrible, horrible creatures), the bluebirds are back and nesting! Last time I checked, they had laid 5 eggs in the nest box. At this point, Madam Bluebird is spending oodles of time in the box, so I’m pretty sure she’s incubating, and I don’t want to disturb her. I’ve got my fingers crossed that nothing gets the eggs or babies this time. Madam Bluebird prepares to leave the nest box for a snack. 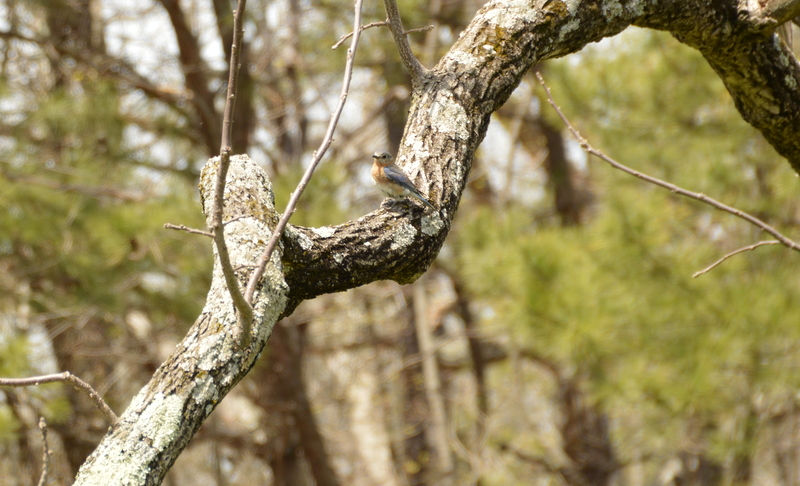 Unfortunately my camera has very little zoom, so all of my bird pictures are pretty low quality. I keep trying, though. One of these days, I’m going to sit outside in a chair somewhere close to the box. I bet if I’m still, they’ll come around. Categories: Bird Watching | Tags: bird watching, birds, bluebird | Permalink. 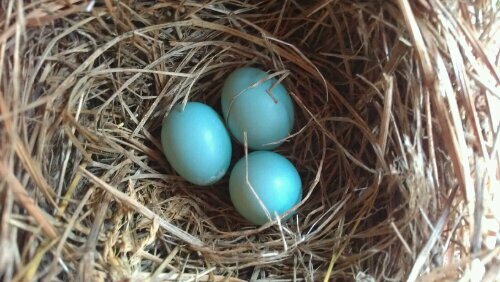 I’m happy to report that the bluebirds have chosen to nest with us again this season. I was afraid they weren’t going to, seeing as they had a group of hatchlings by Mother’s Day last year. I’m guessing they raised their first brood of the season elsewhere…or decided to start late. So far there are three eggs. I’m not sure if the female is done laying. I’ll check again in a few days to see if she adds any more. I can’t wait to have a yard full of bluebirds again! Categories: Bird Watching | Tags: bird, bird watching, bluebird, egg, nest | Permalink. 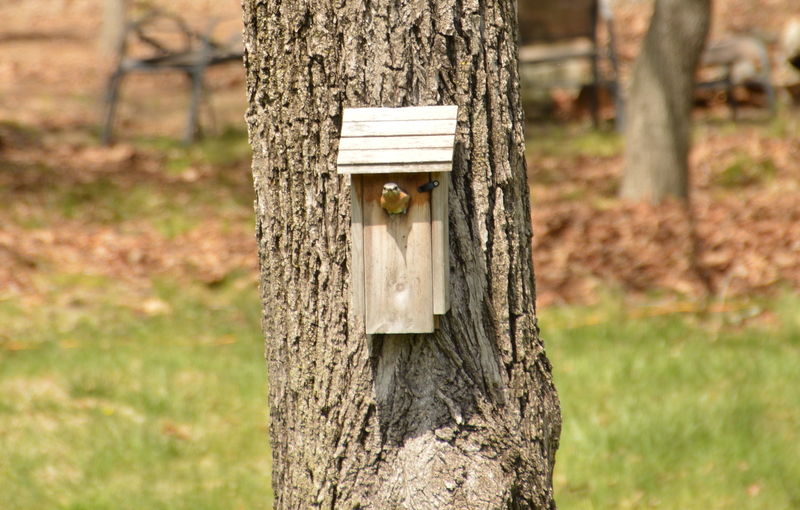 I put up a bluebird box in my yard a while back after seeing a pair of bluebirds frequenting the area. I’m pleased to report that they’ve stayed with me and have built a nest! 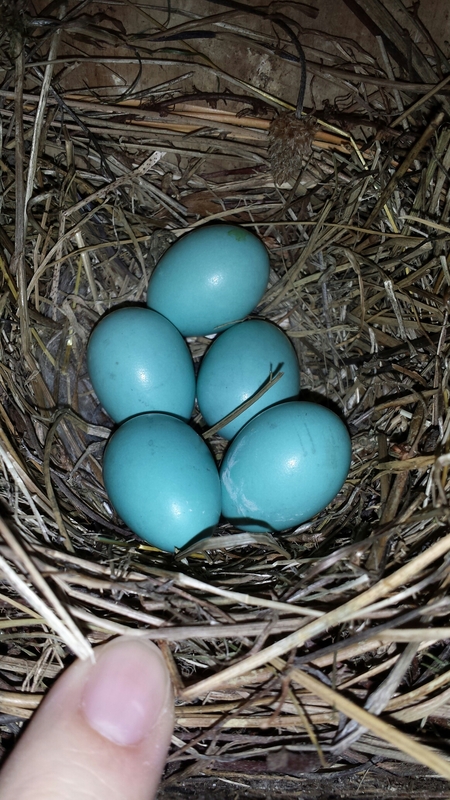 Bluebird eggs! I’ve been checking the box every so often (during good weather) so that I will know when to clean it out for the next brood. It is possible that the female isn’t finished laying, so it may be a while before any chicks appear. I’m tempted to pick up another box this week to hang for the chickadees. I just love being a bird landlord! Categories: Bird Watching | Tags: bird watching, bluebird, eggs, nest | Permalink.